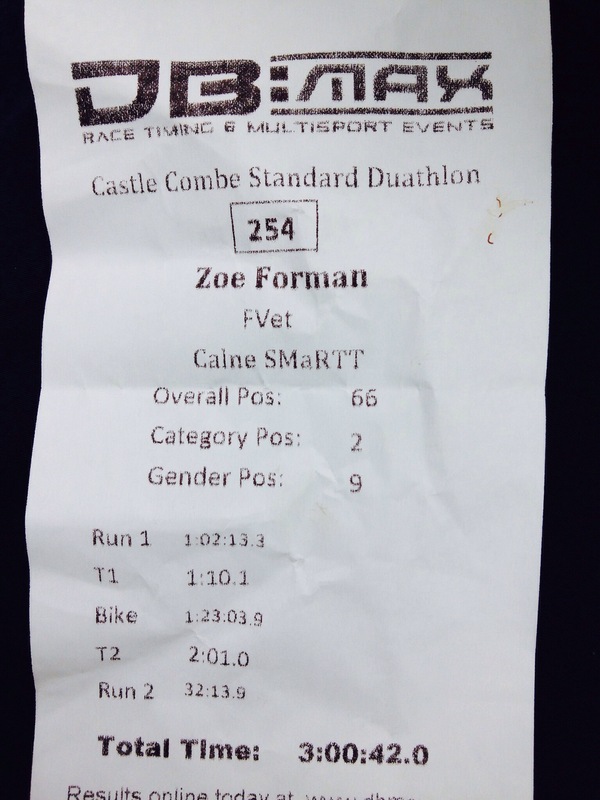 Yesterday saw another first brought about through ironman training a Standard distance duathlon – my first ever duathlon of any kind, maybe should have started with a sprint ?! Back on a motor racing tack, Castle Combe, Wiltshire. 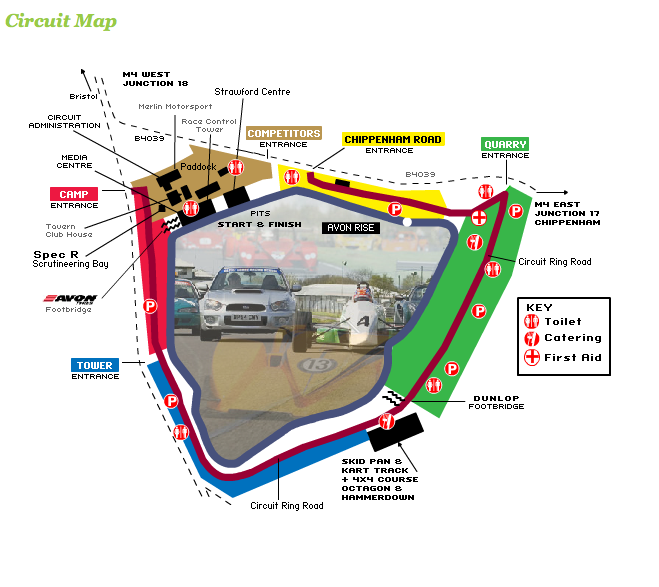 why are race circuits so exposed, open, barren and subjected to the worst wind and weather ? Whilst the track surface is smooth, pothole free and the turns and undulations keep it interesting there seems to be a persistent headwind or crosswind, I’m yet to find the tailwinds ! I signed up for the DB Max Standard Distance also known as the monster distance 10/39/5km and only when asked my estimated fish time did I realises how big a challenge this one was going to be for a first entry into the kind of multi sport. I estimated 3 hours looking at my olympic distance triathlon times, substituting an open water swim time with a 5 km run. Although I can swim 1500m faster than I can run 5km ! Arriving at the back entrance of Castle Combe Race Circuits there was a huge field to park in and proper brick built toilets. A short walk to registration to get my numbers, chip and a coffee I walked along the track and pleased to see that it was drying nicely, probably du ego the gusting winds. At 9am it was chilly and the grass covered in dew so my running shoes got wet before I started – note don’t drive to event in the shoes you are racing in. Checking the weather at home it was forecast as 10c and heavy rain and force 8-9 gale force gusts. I must have changed my kit about 3 times trying to workout which tights, shirts, jackets to wear, but ended up on the day just right for number of layers. Tri shorts with Ron Hill bike tricksters over the top, SportsJock bra/vest, long sleeved cycle top, running gloves and baseball cap or cyclic helmet did me fine. There were only about 70 entries so transition wasn’t packed out, I racked my bike, laid out my cycle shoes and hung a rain jacket on the rail and left an extra water bottle by my kit bag. Time for a quick swig of hot coffee then assembled for race briefing and a 1km walk to the start point. This was where we experienced the wind in our faces for the first time as we got away from the sheltered transition area which was tucked alongside a grass bank acting as a wind breaker. Once assembled on the start line it was too cold to hang around so the horn went and we were off for 3 and a half laps of the circuit (2miles). Within 200 metres I was dead last ! having just completed a lap and a half when I was overtaken by the leading pair. Never mind I was only last until someone pulled up or had a mechanical failure. I carried on at my own pace having been told to take the first 10km steady otherwise you’d blow up on the second run after the bike. These laps were on the race track but when cyclists came on track the remaining runners had to stay in the coned area to the right of the track – the long way round as an anti-clockwise run. Based on Garmin measurements this meant a 10.4km run instead of the measured 10k, so makes my run tim look marginally better ! Coming into T1 it was the easiest time to spot my bike as the only one left there. As the rain had stayed off so far and I was steaming from battling with the run I decided not to put my jacket on so left it on the rail, next I would find it blown the length of transition caught on a railing. Helmet on and clipped I was off until classic novice mistake as I initially ran out of T1 still wearing my running shoes – duh ! Thirteen laps lay ahead of us, into the wind I went. The laps came around quite quickly and I soon watched and followed the racing line of others. There was one corner that demanded respect as you came around there was a serious side wind trying to whip your front wheel away from you. Bugger bugger – Mechanical issues on lap 8 +10 – wobbly bottom bracket, I stopped twice in transition for assistance once with a bike mechanic who didn’t have the right size allen key, then the motorcycle official who did have the right size but didn’t really know what the problem was. and thought I may have dropped a lap ? so mentioned it to the race official when I came into T2. He said go and run and it’ll be sorted out on the chip later. As it turns out I did complete the full laps in the confusion of mechanical issues so all OK.
My T1 and T2 could be improved – wear correct footwear, less chat with race officials. The last 5k was an out and back with that pesky head and crosswind. Going out there must have been a couple of dozen other runners on course but the return was quiet with about 6 of us. i could see a few runners and a couple of walkers ahead of me so I had a target and a couple behind. Ive had a last place before and so that didn’t bother me as the marshals and officials were all still supporting and encouraging, plus they had a time trial later to stay on course for. 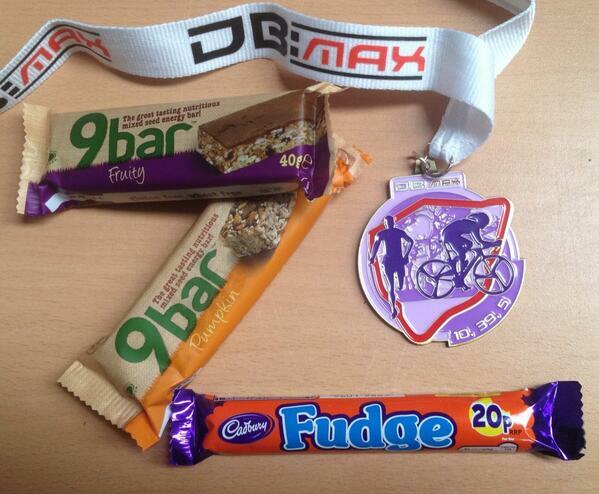 Tough conditions with the wind but I pleased I stuck with my plan for fuelling / drinks. Three gels at start of bike, 5 laps and 10 laps. 750ml water on the bike and water on the run. Whilst I was last for the 10k run I picked off cyclists improving my gender position and that was with mechanical issues and then I ran past a few who were walking on the last 5k so clawed my way up from the back of the field by the finish. There were a few DNF’s and a lot of people cramming with the cold and conditions. But happy to come through my first in one piece. I did take my road bike as didn’t want to crash & smash my carbon tri race bike. Wow!! Well done!! Nice job!! Thank you, not easy but satisfying to finish. Reblogged this on budjude17's Blog.